Dutch cuisine has few internationally known highlights. Gouda cheese is one them, maatjesharing (young herring eaten slightly salted but essentially raw) is another. 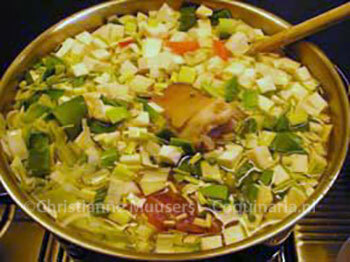 Snert or pea soup is also an icon of Dutch cuisine. 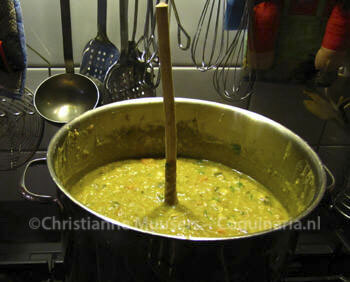 As with all traditional recipes Dutch pea soup is made in many different ways. 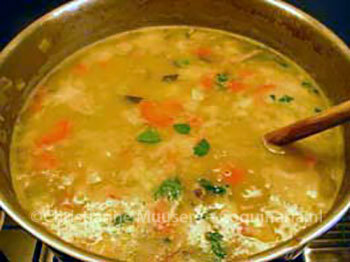 It is an ideal soup to make in large quantities for big gatherings, or to put in a freezer in portions for one or two persons. Real Dutch pea soup is made with pork. However, on this site you can also find two recipes for meatless pea soup, and a special stock for Lent, also based on dried peas. Snert must be very thick: a spoon should be able to remain upright in the middle of the pan. To reach the preferred thickness you must prepare the soup one day in advance and reheat it very carefully before serving. The microwave oven is ideal for reheating one or two portions, but if you want to reheat a whole pan of soup you can either place it in a moderate heated oven and stir occasionally (no plastic handles on the pan or cover! 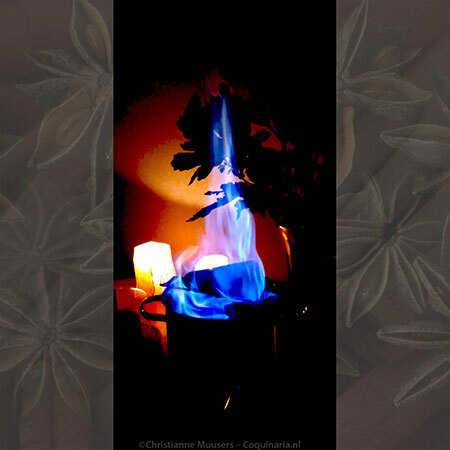 ), or on the stove on very slow fire, again stirring occasionally. If the heat is too strong you will get a thick black cake on the bottom of the pan. How big should a portion be? 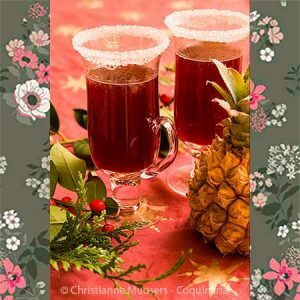 Some people have mailed me with a question: for how many people is this recipe? Well, this is a main course. A standard portion for a main course soup is about 5 deciliter (1 pint). If one has been outside in the cold all day and comes home very hungry, a portion could be larger (7.5 deciliter or 1.5 pint). If this is a lunch for the day after Thanksgiving or Christmas Day, 2.5 decilter (½ pint) may be enough. But, since the snert can be frozen easily, I should make the amount from the recipe. A warning. Someone else once mailed be, very disappointed and even angry, that his snert had turned sour, and he had followed my recipe to the letter! Of course I felt for him, and I hope that next time his soup will turn out perfectly. But it is a fact that pea soup can go off. I speak from my own experience: years ago I lived temporarily in an extremely humid house, and the pea soup I had made for a party had turned sour. All I could do was flush the lot down the toilet. There are circumstances that will cause food to go off no matter what you do. Stock (and pea soup) turns sour, bread dough will rise like a bubbling vulcano, and mayonnaise will curdle. There is nothing you can do, the decay literally hangs in the air; for example when thunder threatens (that seems to have to do with ozone), or when the kitchen is damp and micro-organisms float about. However, if you want to make sourdough some of these organisms are what you actually want. My complainer suggested that I should mention that the pea soup must be cooled quickly and then kept in the refrigerator. Under normal circumstances this is not necessary, and I never do that. But for those of you who can store a large pan in their refrigerator and mistrust the air quality in their kitchen, this may be a good tip. On the page with tips and tricks for making good stock is a section on how to cool a large pan filled with soup quickly. Other visitors of my site offered spontaneous advice. Do not keep snert in aluminium pans, was one of the tips. Another one warned that when women are having their period, they should stay away from the soup. Someone came with the tip not to put the lid on the pan while the soup was cooling. Indeed, it slows down the losing of heat. And of course: never stir the soup with a spoon that has been used for tasting. For 3 liters meal soup (6 to 12 persons); preparationin advance 20 minutes; preparation 90 mintues to 3 hours; waiting time one day. Rinse the split peas in a sieve under the running tap. Split peas don’t need soaking in water. Bring water to the boil with the peas, gammon and bacon. Let it boil and skim off the floating scum. Pour all water off, rinse peas (and meat) again and put them back on the fire with clean water. Meanwhile, prepare the vegetables: Cut the skin of the celeriac, peel the potatoes, and dice celeriac and potatoes. Peel the carrot and dice it. Cut the leeks and wash them. Add the vegetables to the pan and let simmer until the peas are done (one and a half to two hours, the split peas must be broken). Take the meat out of the pan, remove rind and bones, and cut in small pieces. Return the meat to the pan. Wash the sprigs of celery, and chop or cut the leaves. Twenty minutes before the end of cooking, add the whole smoked sausage and the celery. Taste, finish off with pepper and salt. The pea soup is still fairly liquid. Let it cool completely and reheat it the next day, or freeze in portions. When you want to freeze the soup, add the smoked sausage when reheating, or divide the sausage in equal quantities over the portions. If the authentic snert is to made, you have to make the soup a day in advance. The soup will be thicker, and taste even better. Take care when you reheat the soup to do this very gently and stirring frequently, to prevent a thick black crust forming on the bottom of the pan. To heat smaller amounts, use the microwave. Another way to heat a large amount of snert is placing the whole pan (with ovenproof handles!) in the oven at 120 °C/250 °F. But even then, stir the soup once in a while. In large bowls, with bread. Older cookbooks (nineteeth century) prescribe toasted white bread, later cookbooks rye bread (pumpernickel), with katenspek (cooked and smoked bacon) or other cooked and smoked streaky bacon. And no one will punish you if you use French bread instead of rye bread. 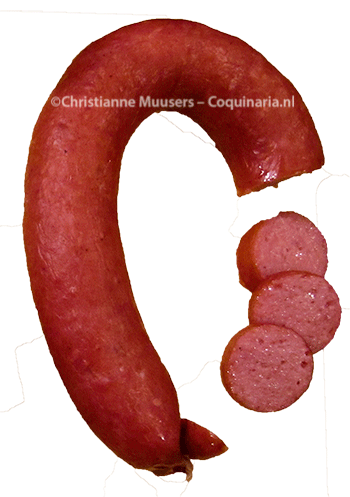 The illustration on the left is from a book on butchers and meat products from 1965, Moderne beenhouwerij en charcuterie in woord en beeld (Modern butchery and production of cold meats in words and images). It was meant to be used as an eye catcher in the display of the butcher’s shop. This was nearly forty years ago, when butchers apparently still took the time to decorate their displays with other objects than plastic greens and fruit. The decorations of the ingredients are made of lard, split peas, onions cut in the shape of flowers, and slices of leeks. In the center you see a pig’s trotter, below it six small sausages. On the left of the trotter is a piece of gammon, on the right some diced streaky bacon.